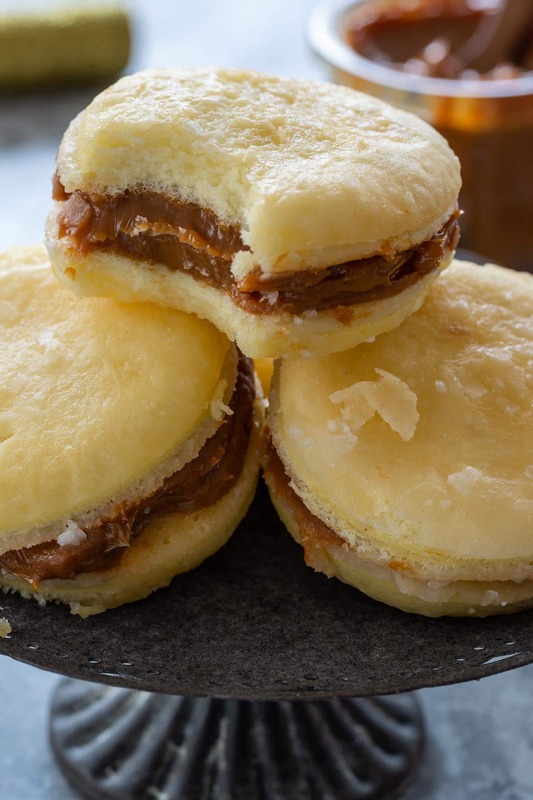 Bem Casados are traditional Brazilian treats – consisting of dulce de leche sandwiched between two small discs of sponge cake – that are served at weddings, bridal and baby showers, and other special occasions. It is impossible to resist them! If you’ve been to a Brazilian wedding, chances are you found a tower of beautifully wrapped bem casados on your way out and smuggled at least a few to take home. No judgement here! I am guilty of trying to smuggle as many as I can, as I adore these sweet treats! In Brazil, people pay doceiras (women who make sweet confections and desserts) or bakeries a lot of money for these. But they are very easy to make! No need to wait for the next big party to enjoy them when you can have them at home, anytime you want. We are calling them wedding cookies here for the lack of a better term for these pastries. Even though they are shaped like sandwich cookies, they are softer and made of sponge cake. Think of them like softer alfajores! I’m sharing them as part of my Valentine’s Day content because not only they are a symbol of love in my culture, but also because they make great edible gifts for your loved ones! Make a batch and give to your significant other, friends, neighbors, kid’s teachers, you name it. These will surely put a smile on their faces! The term Bem Casado means “Happily Married” in Portuguese. The legend says that these wedding cookies represent the couple’s union and commitment, and promise a life of happiness. According to the tradition, you have to offer each guest a bem casado so they can each be blessed with that same luck and happiness. Some say that guests can make a wish before taking the first bite! Even though these started as wedding favors, today they are given as favors in all sorts of special occasions, like when a baby is born (Brazilians like to give favors for their friends when they visit the newborn baby at the hospital) or at anniversary parties. You will also find them served in dessert form, like in cakes, brownies, trifles and even ice cream. While you can make these Brazilian Wedding Cookies with all purpose flour, I highly recommend using potato starch instead. I find that the potato starch lightens the texture of the bem casados and gives them a soft and airy texture, which is a great contrast to the slight crunch of the dried sugar glaze. It also makes them gluten free, making these very convenient if you are serving a large number of people with unknown diet restrictions. Just be careful not to buy potato flour, as that won’t work. Both come from potatoes but are not interchangeable and are used for different reasons! 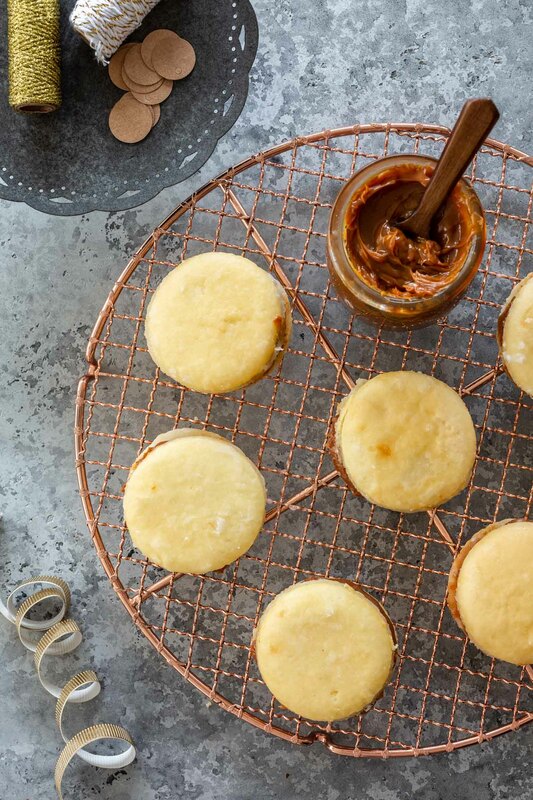 When Bem Casados came from Portugal to Brazil, they were traditionally filled with baba de moça, a delicious egg coconut custard cream, very popular in many Brazilian and Portuguese desserts. 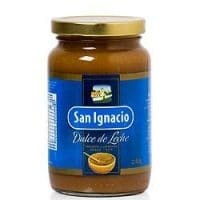 However, the dulce de leche version quickly became the star and is what you’ll often see in weddings today. 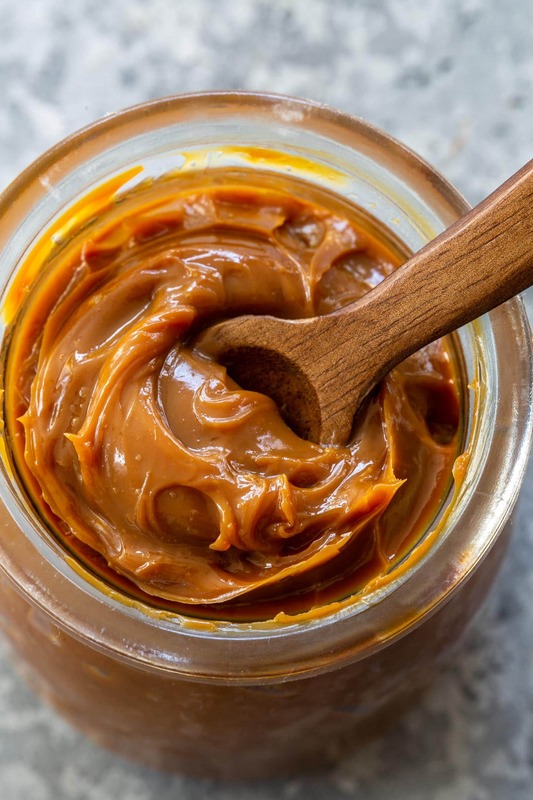 Guava paste, lemon curd, walnut or pistachio cream, brigadeiro and chocolate ganache, although not traditional, can also be used as fillings. 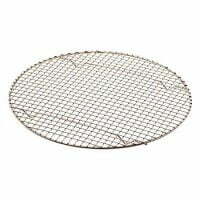 To make these “cookies”, we start with a thin Genoise (or Sponge) cake, baked in a baking sheet until puffed and light golden brown. 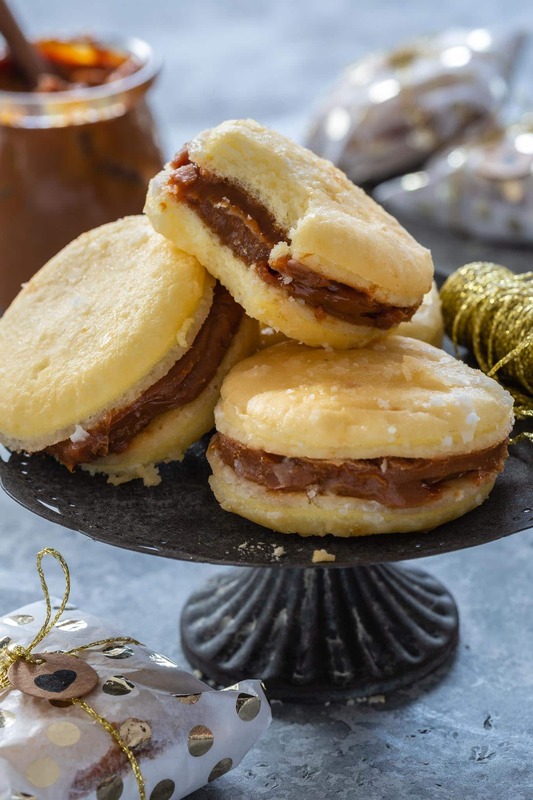 This soft cake is cut into small discs that are topped with dulce de leche and joined, two by two, to form thick sandwich cookies, similar to alfajores. The cookies are then dipped into a warm sugar glaze and set to dry in a cooling rack. Once dry, the sugar glaze becomes a delicious crunchy thin layer of sugar that makes these so special! Don’t be afraid to let them bathe in the sugar glaze for a few seconds per side, as you want them to get super moist inside. How long will Bem Casados stay fresh? Bem Casados will stay good for up to 7 days at room temperature. You can also keep them in the fridge for up to 10 days, but they taste better if you let them come to room temperature before eating. Yes, these freeze well and will last for up to 3 months. Just thaw in the fridge overnight and let them come to room temperature before eating. 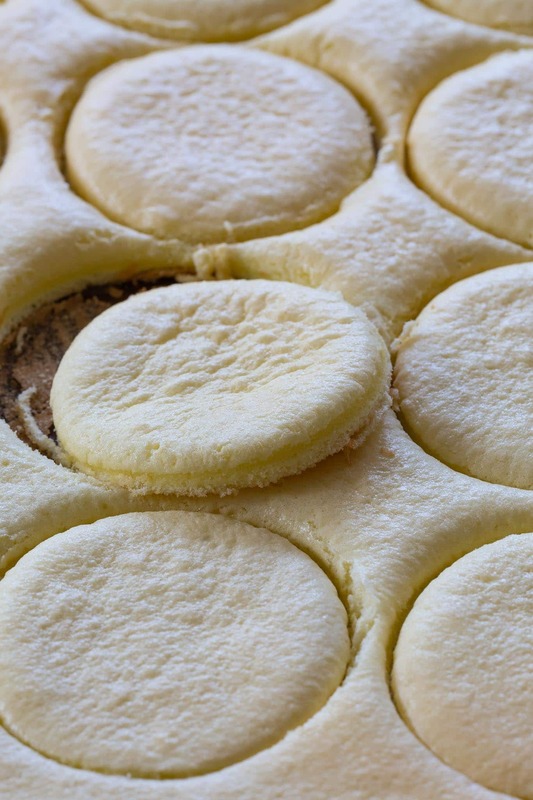 Even if you are familiar with bem casados, chances are you haven’t tried making them at home! 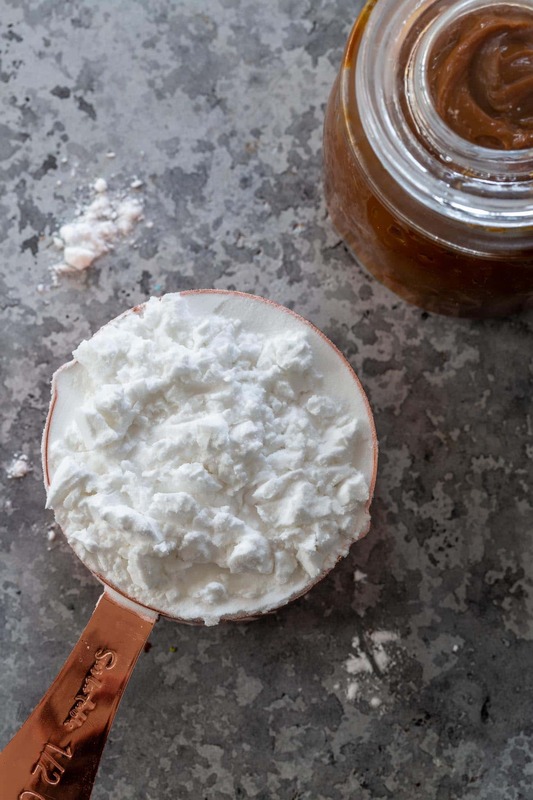 I highly encourage you to head over to your kitchen to whip up a batch. It is the only way to understand why we Brazilians are so obsessed with them. Preheat oven to 400 degrees F. Grease and flour a large baking sheet and reserve. 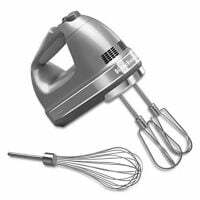 Combine eggs and sugar in a large bowl and, using a hand mixer, mix until pale and fluffy, about 5 minutes. Add the baking powder and continue mixing until incorporated. Using a wooden spoon or a hand whisk, carefully add the potato starch, a little at a time, being careful not to deflate the batter. Transfer the batter to the prepared baking sheet and bake until puffed and golden brown, 8 to 10 minutes. When done, remove from oven and let the cake cool slightly. Then, using a small round cookie cutter, cut about 20 discs (depending on the size of your cutter). 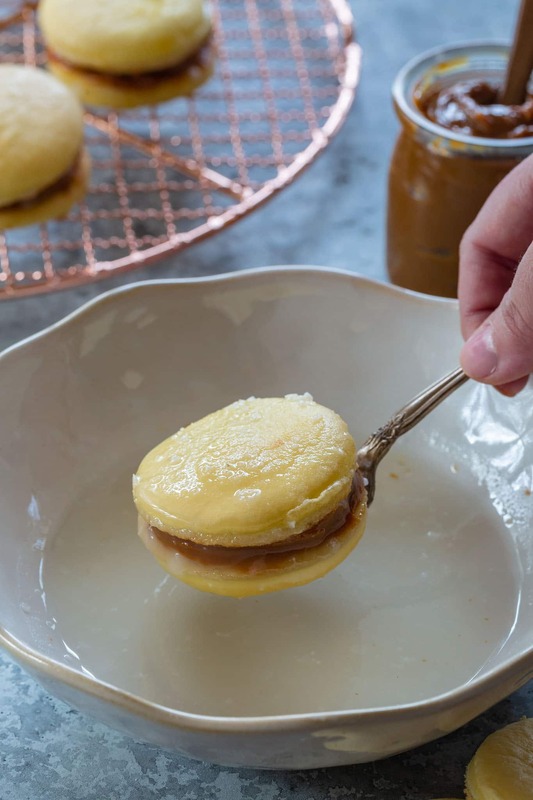 Spread each disc with dulce de leche (about 1 tablespoon). Top with another disc, forming a sandwich cookie. Repeat with the remaining discs. In a small saucepan, bring 1/2 cup water to a boil. Once boiling, add the sugar and let it simmer until the sugar is dissolved. Remove from heat and, using a fork, dip each bem casado for several seconds per side in the sugar glaze, placing them immediately on a cooling rack to dry for at least 30 minutes. 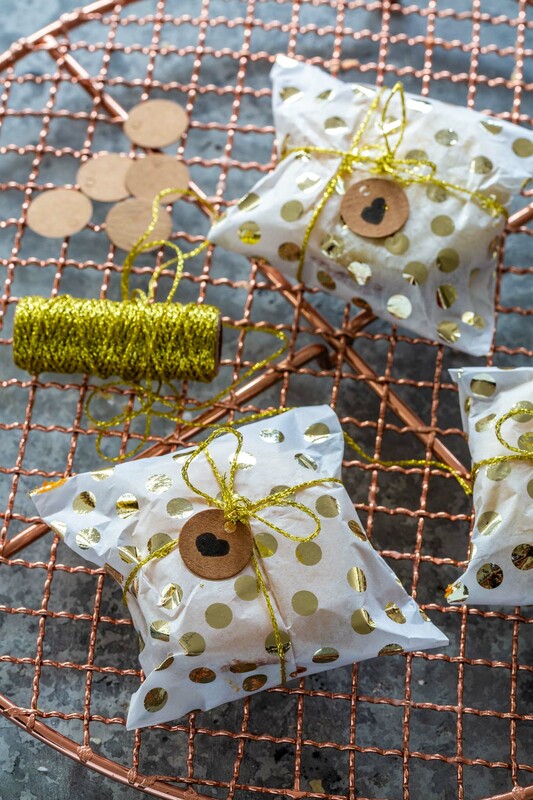 Serve them right away or wrap them individually to give as gifts or party favors. A common complaint about sponge cake is the egg smell or taste. The fresher your eggs, the least egg-y they will taste. You can also run them through a fine mesh strainer to remove the yolk's film and that should help considerably. The cookies will better absorb the sugar glaze if it's warm. If it's cold in your kitchen, you can set the glaze over a double boiler while you work.